I don't have a new card today since I've been super busy since last Thursday. 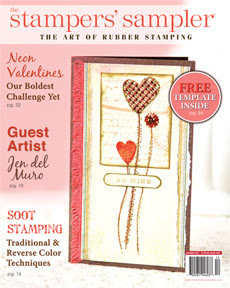 But, I did find out that I have a card published in the new Stamper's Sampler in the newspaper challenge section. 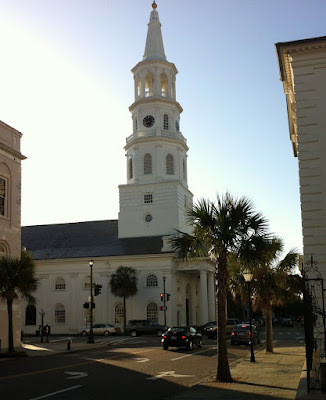 I thought I would share some pictures from my trip to Charleston with my friend Liliana. We had a great time! Hopefully, I can get a card made before I leave for Baltimore Wednesday morning. Thanks for stopping by! Here we are at the Battery. View of the new Cooper River Bridge from the Battery. gorgeous photo of the bridge, what a nice get-away! congrats on the publication, can't wait to see it! TFS for sharing the scenes. What is the 'battery'? Congrats on your publication! Your photos are fun, thanks for sharing!